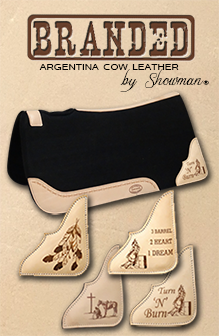 Showman ® Turquoise and Brown Floral Tooled browband headstall and breast collar set. 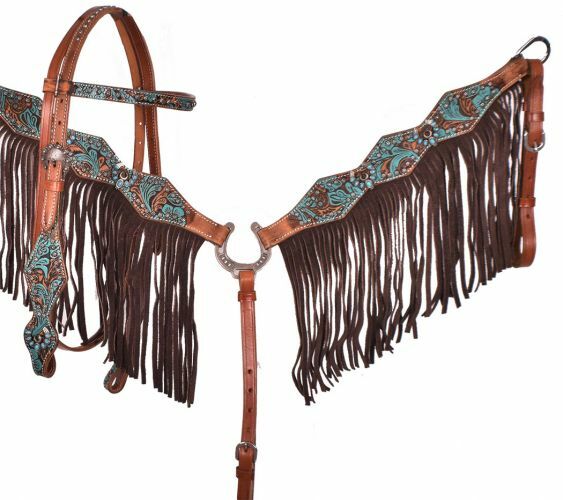 This set features medium double stitched leather accented with a turquoise and brown hand painted floral tooled design and accented with turquoise stone horseshoe conchos and engraved silver studs. Breast collar is accented with chocolate brown suede leather fringe and horseshoe center chest plate. Headstall comes with 5/8" x 7' leather split reins.